Shot photography and designed campaign to show off July Nail Polish of the Month. Worked with Web Team to create an email campaign to show off our July Nail Polish of the Month. Shot the photo outdoors with a reflector. 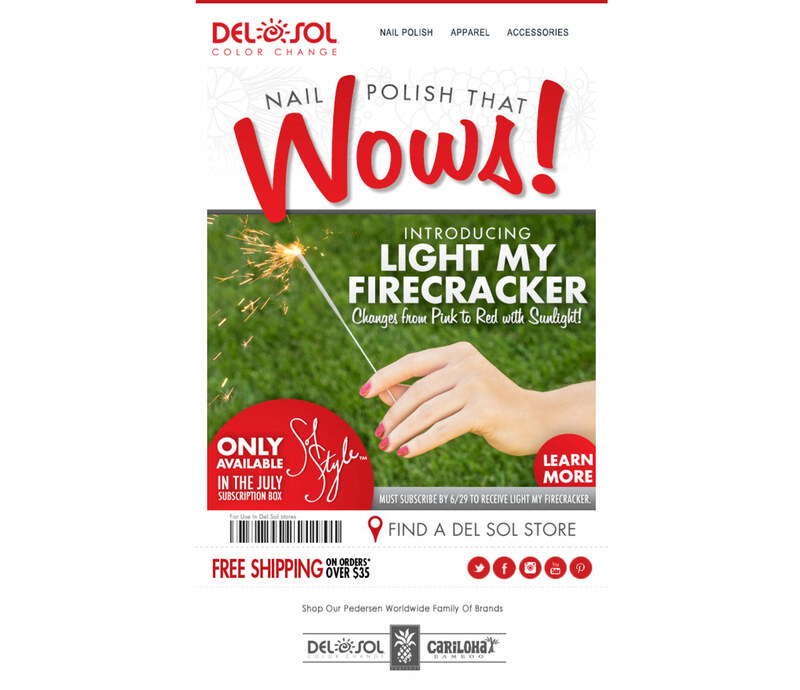 Used Sol Style™ branding to clearly advertise our nail polish subscription service.